Brac is an island located in South Dalmatia, located opposite Split. 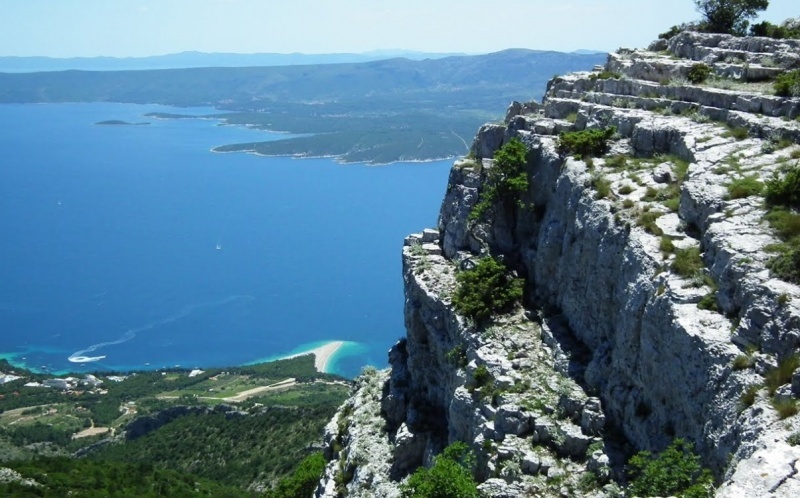 The surface of the island is somewhat smaller than 400 square kilometers, which is the largest island in Dalmatia and the third in the Adriatic. It is believed that the island was named after the present, a cult animal of the Illyrian tribes that inhabited it - brentos. 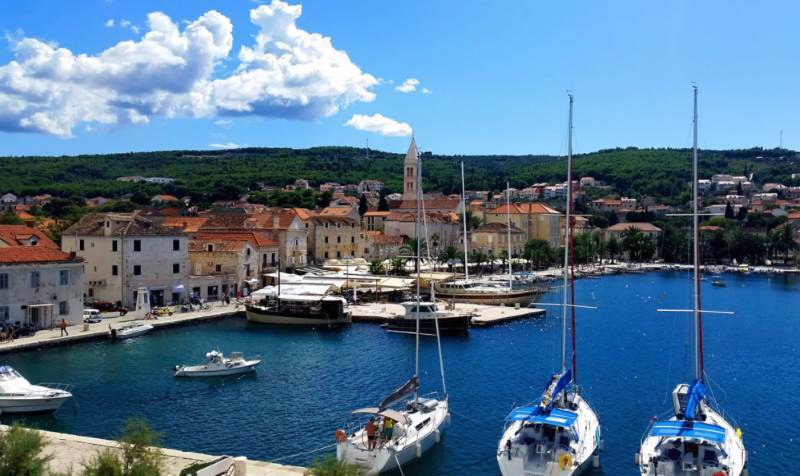 We bring you a list of the most famous sights and locations you need to visit if you are on the island of Brac and suggestions on what to do in Brač. Vidova Gora - Nature lovers are happy to visit the highest island in the Adriatic. If you are an adventurous spirit, in nature and love nature, go along the tracks of Vidova gore on the island of Brač. times Gora is the highest peak of the island of Brac. It is actually the highest island peak on the Adriatic. From Vidova up there is a wonderful view of Bol, the famous beach Zlatni rat and the island of Hvar. Many island guests, besides bathing and enjoying the beaches, like to go to nature and enjoy a special way. Adventurers and people who just love nature will feel great on the tracks of Vidova Gora. Vidova gora, besides nature, has some historical and cultural attractions. Below we will mention all the interesting details of the hills on this island. The Museum of Oil in Škrlje on the island of Brač - The island of Brac has its permanent guests, but also those who reveal it again. Whatever group you belong to, it might be interesting to visit the Museum of Oil at Skrip. 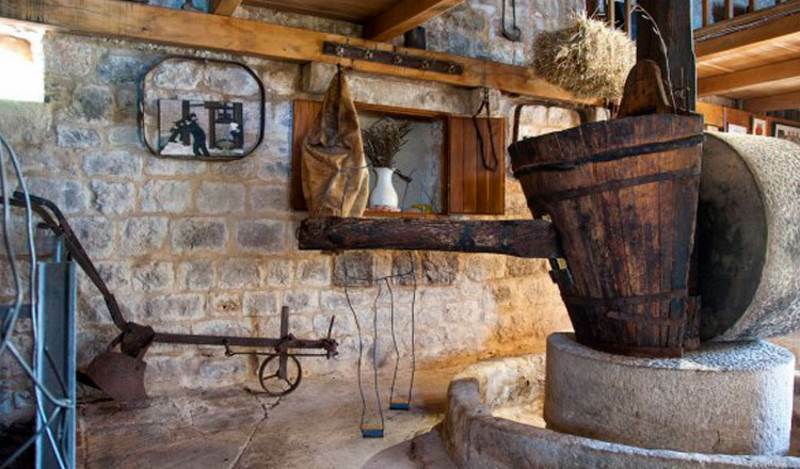 The Museum of History shows the history of olive growing on the island of Brač. This is where you can find out all the details of the traditional olive oil processing process, consisting of ears, ears, ice cream and all other traditional tools used for transport, production and storage of olive oil. Supetar is a town in Croatia, located on the island of Brač. It is actually the largest settlement on this island, as well as its economic, cultural and tourist center. Even one-fifth of married couples live in Supetar. It is located in the bay of St. Petra by which he got the name. This tiny little town has a port and a good traffic connection with Split. Supetar is a desirable tourist destination for many, especially yachtsmen who have the choice of many coves they can come across. Apart from boaters, Supetar will visit guests who like to enjoy the beautiful beaches, visit monuments, churches and other cultural and historical sights. 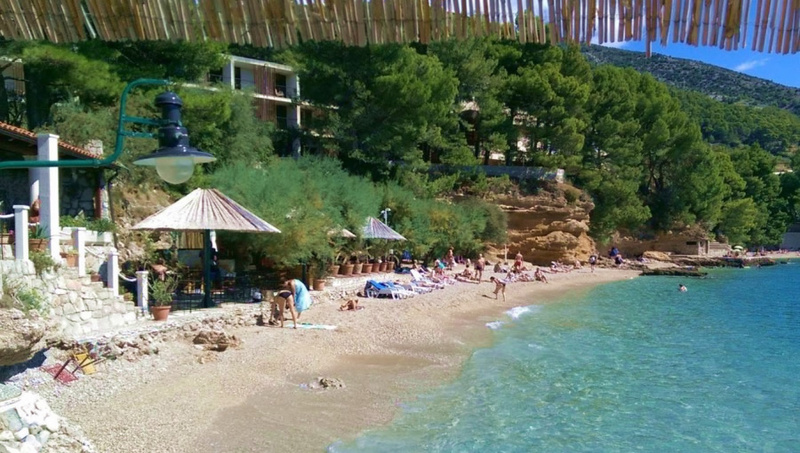 Bol Brac Beach - Certainly the most famous of all beaches on Brač is the beach Zlatni Rat in Bol. These beaches are a symbol of the island and of all Croatian tourism. It is specific in that it changes the top shape depending on the wind blowing. The Zlatni Rat beach is special for its figure, especially if it is viewed from the air. It is a trademark of Croatian tourism and is the main detail of many brochures or greeting cards. The great popularity of the beach is accompanied by a rich offer of various contents, it is up to you to enjoy this beautiful beach. FKK Paklina - Right next to the beach Zlatni rat is one of the most famous nudist FKK beaches, Paklina Beach. The beach is located at the western end of the famous Golden Horn. The main part of the beach is gravel and about 200 meters long, if you are looking for more privacy, continue on foot west to where you can find beautiful sandy and rocky coves. Beach Kotlina Brac - This beach is located in the village of Bol, on the island of Brač, next to a restaurant with a hostile atmosphere. In addition to bathing and sunbathing, when you want to eat a delicious meal it is enough to do a couple of steps and you are already at the table, in the shade and waiting for your order. As you wait for the plates to come, the time will pass through the beautiful view that comes from the terrace of this building. It is located at the beach itself, and is therefore very well positioned to enjoy the moment. 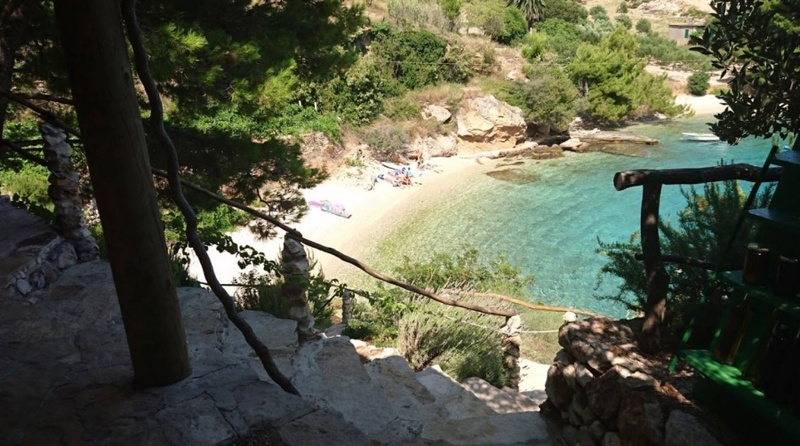 In the southern part of the island, between the village of Bol and Sumartin on the island of Brac, there is a small bay with a very large offer. The restaurant on the shore is beautifully decorated, all in stone and as such adorns an enchanting natural environment. The beach below the restaurant is very popular, especially if we take into account the isolation of this bay. Namely, there will be few landfills, which is why boaters adore this part of the coast of Brac. The Murvica Beach is very popular. It is beautiful and located in a natural environment. It is located in the southern part of the island of Brac, below the village of Murvica. It is made of small gravel, covered with rocks and covered with sparkling waves of pure sea. The beach has a designated place for bathers. It is appealing to its look, especially because it is a distance view that reveals the silhouette of the neighboring island of Hvar.